Anders and I just got back from Sayulita, Mexico, and what a great trip! 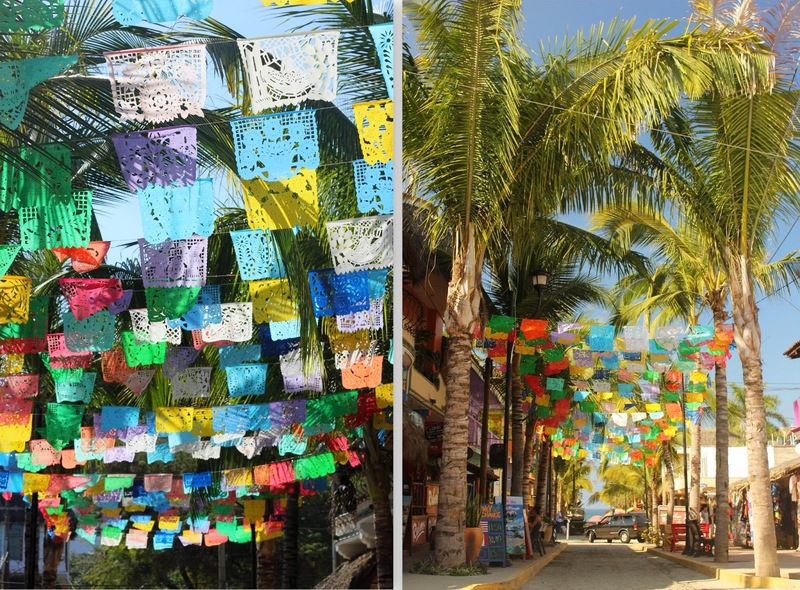 Sayulita is a little bohemian fishing village just north of Puerto Vallarta. It's small and is a great mix of Mexicans, Ex-pats, surfers and hippies. We rented a house with our good friends and spent most of the week either at the beach, eating in town or hanging out at our house's pool. It's hard for me to get back to places I have already been, but I think I would be pretty happy to have Sayulita on the permanent rotation. Here are some pictures! The view of Sayulita Bay from our house. Pat and Anders relax in our house's pool. This is a recurring theme. We did go on one adventure...we went fishing and caught a bunch of bonita. We also made a pit stop at Marieta Island, an uninhabited island just off the coast. 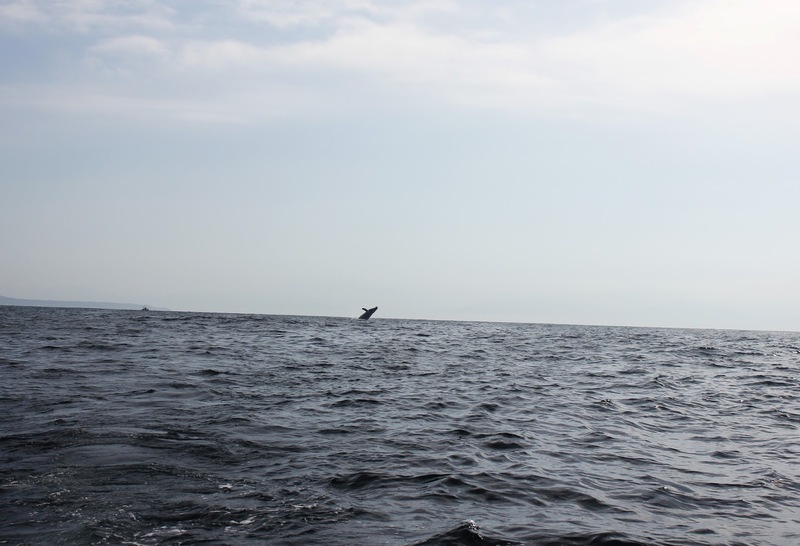 We also saw whales! It was the first time I have ever seen one in the wild, and I was blown away by the size of this beast. Yup. I am a whale person. 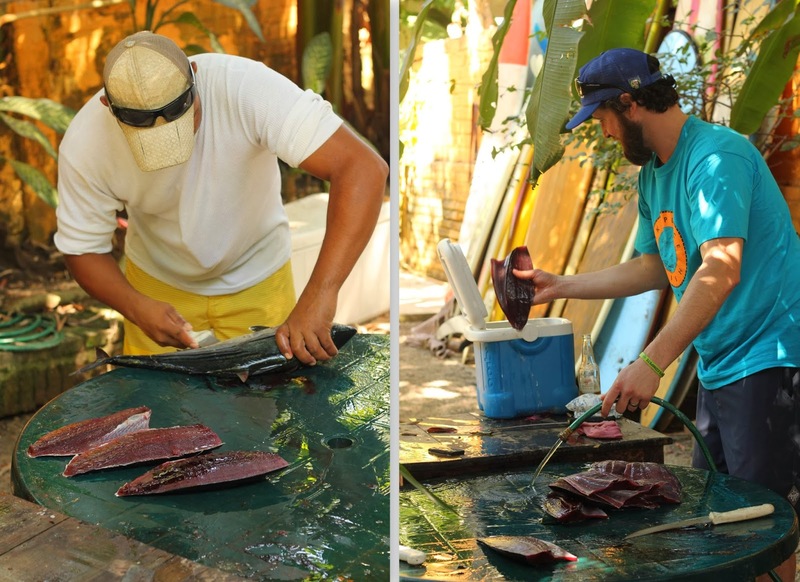 Back in Sayulita, Anders and our guide prepped our bonita. We turned it into fish tacos. 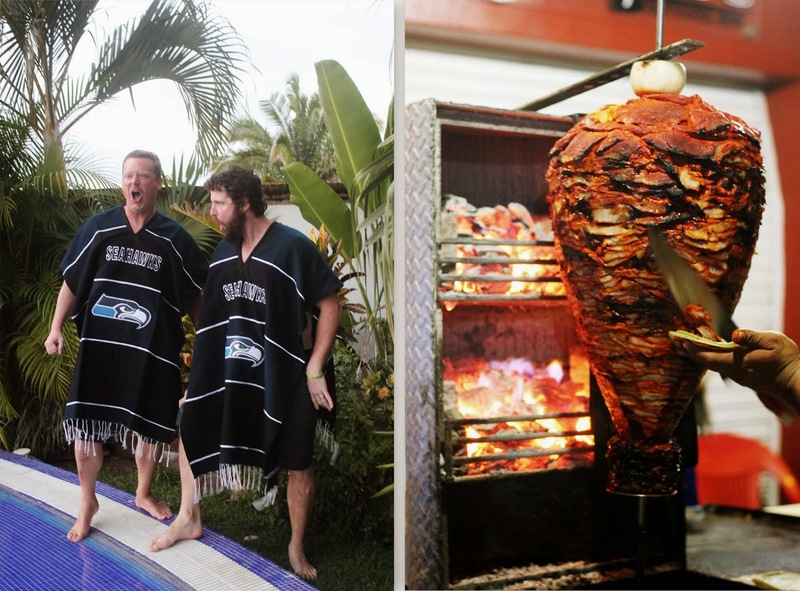 Anders and Pat found Seahawks ponchos and had to buy them + MEAT! We met a healer on the beach. He gave Anders and I a deep tissue massage while using bentonite clay (which is detoxifying). Our ride for the week. Thanks for taking a look! 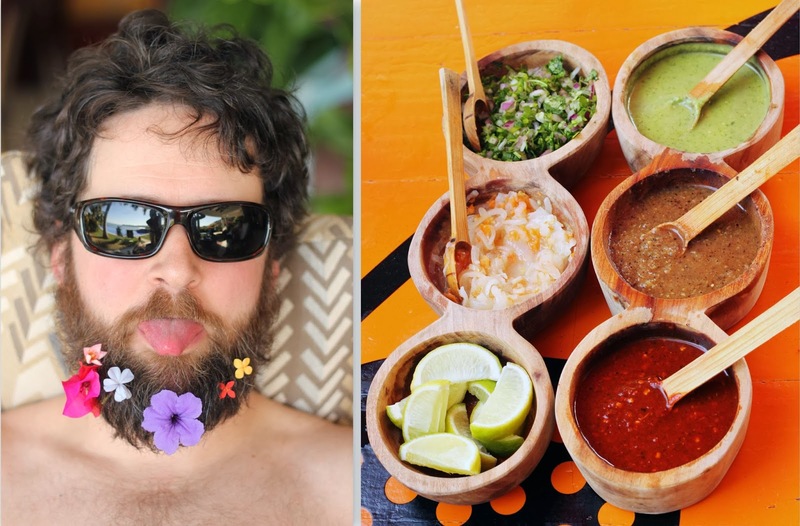 If you plan on going to Sayulita, here are a few of our favorites. Rent this house! We had the best time. I can't say enough nice things about the place and the people who own it.